Teknika heavy duty tensioner for polyester/polypropylene strapping. 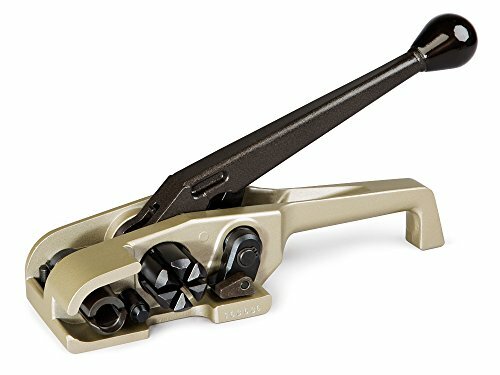 Unique windlass return mechanism for faster and easier strap loading. Advanced patented design for the heaviest PET applications. Easiest tool to operate and maintain. Very popular for its reliability and user friendliness. High quality casting guarantees enhanced durability. Innovative gripping mechanism grips and releases strap with a vertical motion. Heavy duty cutter reduces force to be applied by the wrist and extends cutter life. Strap width: up to 3/4-inches. Lifetime availability of parts and service. If you have any questions about this product by IDL Packaging, contact us by completing and submitting the form below. If you are looking for a specif part number, please include it with your message.